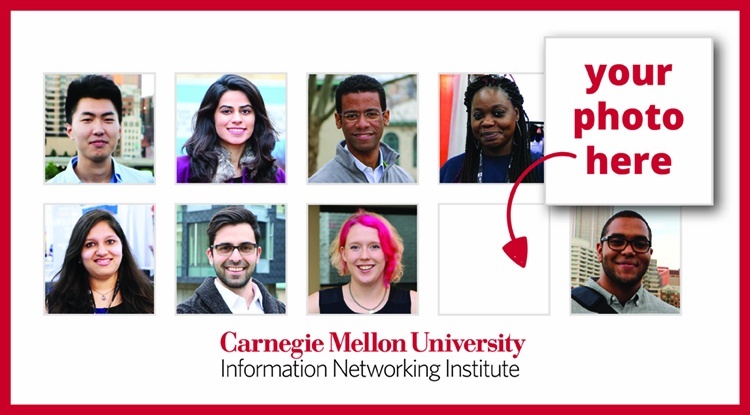 Makers and thinkers, hackers and scholars, researchers and programmers – find your spark of genius at Carnegie Mellon University’s (CMU) Information Networking Institute (INI). The INI educates and develops engineers through technical, interdisciplinary master’s degree programs in information networking, security and mobility that incorporate business and policy perspectives. Whether you want to launch a tech start-up, join an enterprise R&D team or fight cyber-crime, at the INI you’ll gain the skills and experience necessary to realize those aspirations and much more. Apply now to the INI's graduate degree programs! Earn your degree in information networking, security and mobility at Carnegie Mellon University. Enhanced by real-world experience, the INI's unique combination of rigorous technical and practical industry-oriented topics will empower you to be one of the movers and shakers of the tech industry. Our programs provide an advanced, specialized curriculum combining computer science, electrical and computer engineering, software engineering and information systems while incorporating business and policy perspectives. Through flexible, interdisciplinary curricula, INI students can customize their program experience to help them realize their career aspirations. It's time to achieve equal respect for women in security, and the new Equal Respect column series is just what we need to bring it home. in part 2 of this 2-part article in which Summer Craze Fowler shows how a lack of diversity affects all of us, she provides examples of what we can do to solve the disturbing fact that the number of women in the information security space is actually declining. It's time to achieve equal respect for women in security, and the new Equal Respect column series is just what we need to bring it home. in part 1 of this 2-part article, Summer Craze Fowler shows that the future of information security looks as male-dominated as ever and discusses the reasons we should all be concerned about the lack of diversity in this field.